When Load Testing application, a critical and frequently overlooked task is to validate responses obtained under load. A Typical issue is to have application return the wrong response to a request but doing so with a 200 response code. In the latter case JMeter (or any other tool) can not guess alone that the response is not the expected one. It’s up to you to check some content in the response. 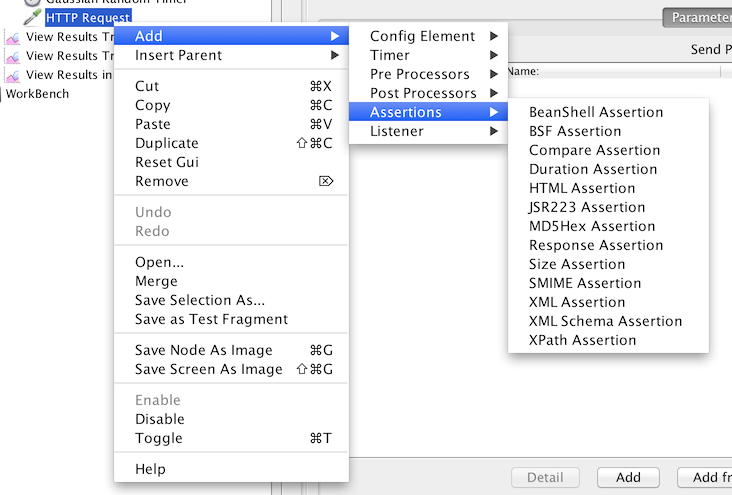 Let’s see how to do that in JMeter, you do that using Assertions. There are many types of assertions in Apache JMeter, we’ll zoom on the ones that you will use in 99% of the cases. But be aware that you can add them at a higher level, thanks to JMeter scoping rules, it will then apply to all requests under this scope. First of all, let’s examine Response Assertion which is the most powerful assertion. Main Sample and sub-sample : For a web page for example, this means the assertion applies on a request and the downloaded resources (CSS, JS) if you’re using download embedded resource options. Main Sample only : Apply assertion only on the Web Page, not the downloaded resources. This is the default in JMeter. JMeter Variable : Apply the assertion on any JMeter variable. Note that in this case, “Response field to test” is ignored. We’ll see this later in examples. Text response : It will be the HTML code for example in a web application. This is the default in JMeter. Equals : This means “Patterns to test” is a text that JMeter will compare with Response field to test. If different assertion will fail. Substring : This means “Patterns to test” is a text that JMeter will search in Response field to test. If not found, assertion will fail. This is the default in JMeter. The Text response from Main Sample only contains some text (<title>My Test</title>). The text is compared in a case sensitive way. Note you can have many texts checked. The Headers from Main Sample only contains a cookie mycookie with value “toto”. Another interesting assertion is Size Assertion. We have a new zone “Size to assert” which will tell JMeter how to compare the input value with the Variable or the selected zone size. Note that you can use any variable that you create during your test. Finally, the last type of assertion is more advanced and will be usually used when none of existing assertions can do the Job. It relies on one of the most interesting features of JMeter, which is its extensibility with any Scripting language that provides a JSR223 bridge. 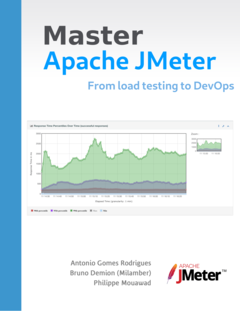 JMeter since 3.0 has Apache Groovy natively embedded, as it supports “Compilation” feature, it’s a good fit in terms of features and performance. In the first line we get the value of variable ulp_play_time (exposed by the UbikLoadPack Streaming plugin, but you can apply this to any variable you create). We convert it to an Integer and compare it to 110000 (110 seconds). As a summary, we’ve seen in this blog is that checking responses in a Load Test is critical for load test validity. JMeter makes this checking very easy and flexible. As you have also seen, our Video Streaming Plugin integrates very smoothly with Standard JMeter and lets you create custom assertions on the metrics it exposes.